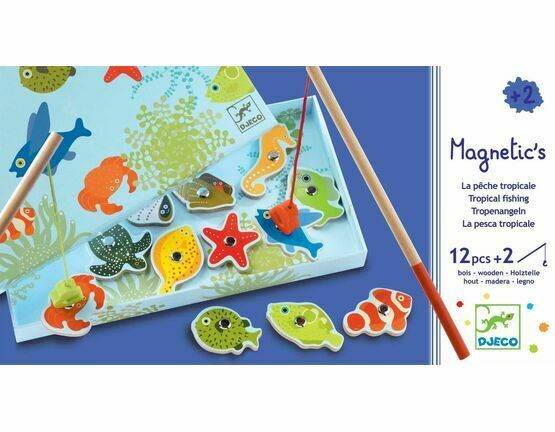 A delightful magnetic game with a tropical fish theme, this has been specially designed for younger children. 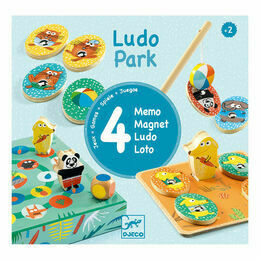 It will help with concentration and co-ordination skills but in a fun and entertaining format. 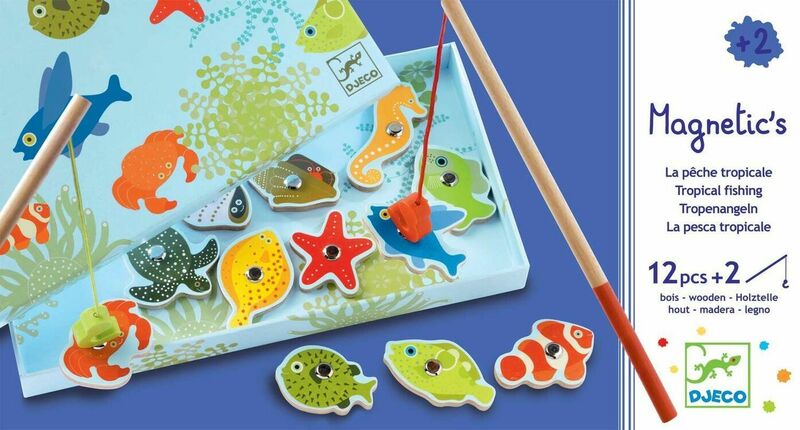 This game is for 2 players and contains 12 decorated magnetic sea creatures to catch with two magnetic fishing rods. 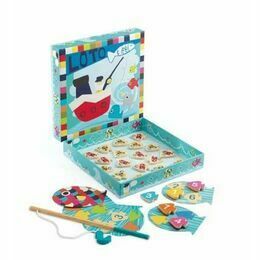 The game is played within the box which is beautifully illustrated with an under-water scene. 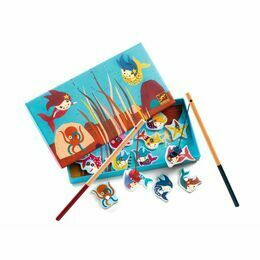 Learn the names of the different sea creatures whilst also testing your balance skills wherever you choose to take it. 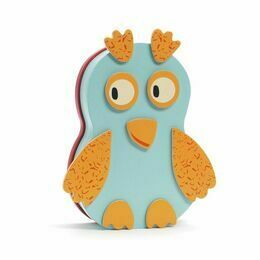 Traditional toys with a fresh contemporary look, Djeco are a Paris based company, creating high quality, intricately designed products with a uniquely artistic twist. 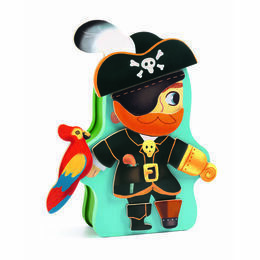 My little boy who's just turned 2 really enjoys playing with this. I bought this game to keep my 2 and a half year old occupied on a four hour flight and it worked! Lots of fun for her and her older brother to play with. 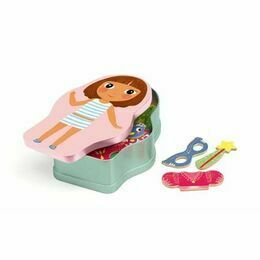 Good quality and different from other bits for her age. Have given this product to several friends and family now and is always commented on favourably. A fun and well presented game! These rates apply to standard UK delivery only: (all British Isles including BFPO & Channel Islands). We use Royal Mail 1st Class post and a courier service for larger orders. We aim to despatch orders the following working day (Monday – Friday), subject to the item being in stock. Orders over 2kg may be sent via an alternative method and may take 4 days to arrive. Therefore please allow up to 7 days for delivery. 1-2Kg Next Day is £12 and 2-10kg is £26. All of our postage is reviewed regularly and charged as close to the cost price of Royal Mail or the Courier as possible. If you require a SATURDAY delivery, please call our shops. If you require an order to be delivered urgently or on a specific date, please indicate on the checkout page that you require the item urgently or on that specific date. Or telephone or email us with your details and we will do our best to meet your requirements. We recommend you choose Recorded delivery for all international orders. This service is available for just £5.15 extra per order and will ensure that your goods arrive safely. We have found over the years the safest way to send items overseas is to send 'Sign for'. This is slightly more expensive but certainly well worth the extra cost and peace of mind. If you are happy to accept any loss in the post then we are happy to post as standard mail, but we can not accept any responsibility for items that go missing in the post. Some large overseas multiple orders may weigh more than 2kg. For these we need to send via a courier, so please contact us so we can get the best possible price. Zone 2 (Australia & New Zealand) Please add £0.50p per order to the above rates. Large orders are welcome and and postage will be charged at cost price. Please contact us for a quote. All taxes and duties incurred once the shipment has reached the destination country is the responsibility of the customer. If you are unsatisfied in any way at all, please return the unwanted item within 30 days of delivery date for a full refund or exchange. The item must be unused and retain its original labels & packaging. Sale items are not returnable or refundable. Your order should arrive within 2-3 working days and you will receive and email to say it has been sent. Please notify us within 14 days if your order fails to arrive. Please include a copy of the invoice and state the reason for returning the item and whether you would prefer an exchange or a refund. Items returned after 30 days will not be refunded except in exceptional circumstances. The item must be returned in its original packaging and condition and be fit for re-sale. All postage costs are the responsibility of the customer. The Company reserves the right to charge a realistic fee for repackaging if the product is returned due to the Customer changing their mind. Return postage and packing cannot be refunded unless the item is faulty or an error has been made on our part. Everything that we send out is checked prior to despatch. We recommend that on receipt you check the item before signing for them as once the goods are signed for we will not accept any claims for damages. If you sign for the goods as 'unchecked' we will not accept any claims for damages that are discovered at a later time. Our suggestion is that you check, then sign and if that means keeping the courier waiting don't feel bad as it's protecting you. We must be notified of any damages or missing / faulty goods within 48 hours of delivery and we will need a full explanation and where appropriate, photographic evidence. We will either replace the damaged/faulty component or replace the item in its entirety at our discretion. If the customer decides to cancel the order then they will fall liable for the cost of the delivery to them and also for the return. We suggest you obtain proof of posting when returning an item to us and use a signed for method, as we cannot accept responsibility for items not received. Goods ordered in error will need to be returned at the Customer's expense. We are continually updating and improving our products so there might be changes in the product received to the one shown in a listing. We accept no liability for such changes. If you require an exact dimension we advise you to contact us first as no liability will be accepted for any variances. We recommend that you return items using Recorded Delivery with a proof of posting, as we cannot accept responsibility for items lost or damaged in transit. When returning items for exchange an additional postage charge will be required to resend the exchanged item.  If your item is temporarily out of stock we will advise you by email and inform you when new stock arrives.